Dextroamphetamine is a psycho-stimulant drug known to produce increased focus and wakefulness along with a decrease in fatigue and appetite. Dextroamphetamine is far more potent than racemic amphetamine and has a number of stimulant properties to racemic methamphetamines. Dextroamphetamine is the leading ingredient in the ADHD combatant Adderall, which is composed of racemic amphetamines. Because of its ability to mitigate the effects of ADHD and narcolepsy, Dextroamphetamine possesses a number of legal benefits. Moreover, Dextroamphetamine is also used to combat treatment-resistant depression and exogenous obesity. Due to the drug’s ability to intensify focus and alertness, the United States Air Force commonly prescribes Dextroamphetamine to pilots and soldiers on long missions. Psychological effects of Dextroamphetamine include: anxiety, euphoria, increased libido, increased energy, alertness, concentration, sociability, aggressiveness, psychosomatic disorders, delusions of grandiosity, hallucinations, excessive feelings of invincibility and power, paranoia, repetitive and obsessive behaviors and amphetamine psychosis can occur with chronic and/or excessive dosage. Physical effects of Dextroamphetamine will include: anorexia, hyperactivity, restlessness, dry mouth, headaches, dilated pupils, flushing, twitching, insomnia, palpitations, tremors, hypertension, blurred vision, dizziness and with chronic and/or high dosage a user may experience convulsions, heart attacks, strokes and severe cases, death. Withdrawal symptoms of Dextroamphetamine will consist of depression, fatigue and an increased appetite. These symptoms may last a few days for users who occasionally take Dextroamphetamine or may last months with chronic use. The severities of Dextroamphetamine’s withdrawal symptoms are directly elastic to the user’s length and frequency of dosage. Withdrawal symptoms may also include anxiety, headaches, irritability, agitation, vivid dreams and suicidal ideation. Commonly referred to as Dexedrine, Dextroamphetamine is a brain stimulant which perpetuates awareness, self-confidence and a decreased appetite. For decades, Dextroamphetamine was used to suppress an individual’s appetite; however, because of the drug’s potent toxicity, Dextroamphetamine is no longer legally approved for this purpose. Once approved for the treatment of obesity, depression, attention deficit disorder and narcolepsy, the availability of Dextroamphetamine is now diminished due to safer alternatives. The drug is now only available to combat the effects of ADHD; Dextroamphetamine is available in 5 or 10 mg tablets, which are consumed orally, to offset the effects associated with ADHD. Because Dextroamphetamine is an amphetamine, the drug is classified under the terms of the Controlled Substances Act of 1970 as a Schedule II drug. 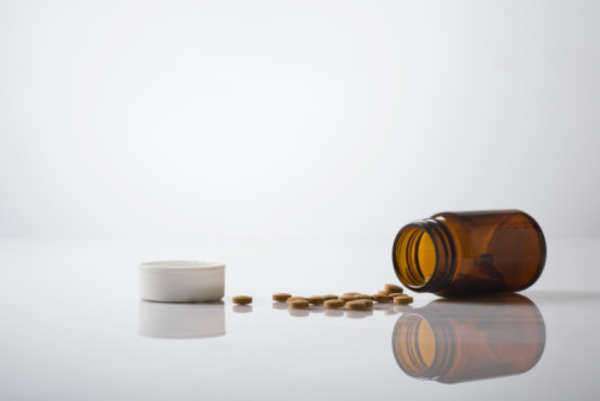 Schedule II drugs are regarded as prescription medications that yield a genuine medical benefit, but also pose a high risk for addiction and abuse. All Schedule II drugs require a medical prescription before they may be legally used. Doctors and pharmacies that dispense Schedule II drugs are required to register with the United States Drug Enforcement Administration. Furthermore, regulations are placed on the amount of Dextroamphetamine produced by domestic manufacturers.